There are a few key components that customers must know when having professional carpet cleaning done in their home. Just like the customers there are things the carpet cleaner must have. These are simple steps to take and knowledge that you should know before having your carpets cleaned. When researching a carpet cleaner the best way is to search the internet using one of the well known search engines such as Google, Yahoo, or Bing. Using these search engines means you can view websites, reviews, and info regarding carpet cleaners. You want to use the best because you know that they can be trusted to do the job right the first time around. If you are using Craig’s List to look for a carpet cleaner the chances are that you may not get the professional services you are wanting. However, it would be important to research that carpet cleaner from Craig’s List to see if you can find any information on them. Once you find a carpet cleaner or a few when calling in customers should always be thorough when asking questions and getting quotes. 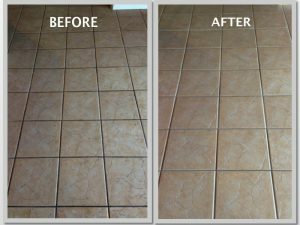 You should always know how many rooms you want to have cleaned, the square footage (especially if you are having tile and grout cleaned), the number of steps there are in your stair case (if applicable), and the type of cleaning you are wanting. There are 2 types of carpet cleaning most pros offer. One is a hot steam only which will sanitize and remove dust and allergens. The second option is a full service clean which includes a hot steam, vacuum, and some type of prespray. The prespray is to help remove spots and stains. Some like Beyer Carpet Cleaning also include a deodorizer for every full service carpet cleaning they preform. These are key to getting the best possible quote. If you don’t ask the questions a carpet cleaner could quote you for a basic cleaning and then when they show up your carpet cleaning bill could be unexpectedly higher. When it comes to the carpets cleaners side of things they must have the proper equipment and materials to complete any type of cleaning job. They must also use the proper equipment and materials. There is a tool for almost every type of job. Tools should be changed out when carpet cleaning, then when cleaning stairs, and again when cleaning tile and grout. The steam used should be higher then 200 degrees in order to get the best clean and sanitization. Carpet cleaners should always be upfront with their customers and let them know what to expect. Then when the carpet cleaning technician arrives they should go through the process again as well as the rooms so they know which rooms to clean and what may need additional treatment. Customers should always have their furniture moved out of the way if they are wanting the entire carpet cleaned. Some carpet cleaners include furniture moving which is why they charge so much. Those that don’t usually charge an additional fee to move furniture as it can be a liability to the company. There is always a risk of injury to the technician and to the customer’s belongings. 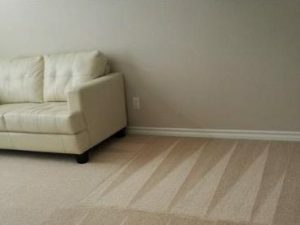 Beyer Carpet Cleaning is your trusted San Antonio carpet cleaning company. They have 5 star reviews, a website, and all the information you need to know about them listed on the internet. They are upfront with their customers about cost and services. They never promise what they can’t deliver and are always prepared to take on any type of cleaning job. They have all the equipment they need and their vans are fully stocked with all the materials they could possibly need. Beyer Carpet Cleaning is here for you San Antonio!